Our designers have ensured ample safety for the fragile laptop, yet keeping the durability intact. They have also ensured high load bearing straps, for added safety, yet at the same time not reducing storage capacity, so that you have just a bag to carry, yet what an excellent bag! We offer the best quality of laptop bags which are high in demand. 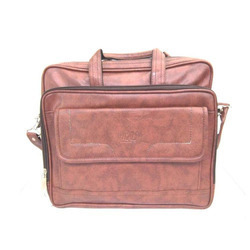 Our range of laptop handbags comprises of executive handbags, Back packs etc. Size: L:16.25" x D:5.5" x H:11.25"
Owing to years of experience in the industry, we offer an exceptional range of Fancy Laptop Bag. 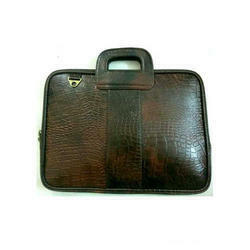 We bring forth vast industrial experience and expertise in this business, instrumental in providing Executive Laptop Bag.